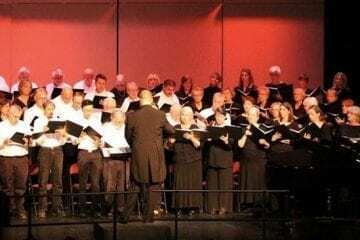 The Outer Banks Chorus has announced its Spring 2019 season with weekly rehearsals beginning Tuesday, Jan. 15, from 5:30 to 7:30 PM at Kitty Hawk United Methodist Church, 803 W. Kitty Hawk Road. The 80+ member community chorus is directed by Kyle J. Cook and is accompanied by Cheryl Needham. The non-auditioned ensemble is made up of local singers ranging from high school students to adults. The spring concerts, “Music of the Heartland,” will feature traditional and contemporary arrangements of American folk songs, spirituals, and sea shanties. The concerts are tentatively scheduled for early May. Interested singers are invited to contact Kyle Cook (kylejacobcook@icloud.com) or the Outer Banks Chorus Board President, Tom Scholl (tbsandras@charter.net). Season dues are $40 per individual, $65 per married couple, and $20 per high school or college student. New members will be accepted through Jan. 29, 2019. Visit the chorus on the web at www.obxchorus.org or “LIKE” the group on Facebook to stay up-to-date with important information and upcoming events.